An XDI message, represented as a context node. Creates a new $connect operation and adds it to this XDI message (template). Creates a new $del operation and adds it to this XDI message (template). Creates a new $do operation and adds it to this XDI message (template). Creates a new $get operation and adds it to this XDI message (template). Creates a new message push result and adds it to this XDI message (template). Creates a new operation and adds it to this XDI message (template). Creates a new operation result and adds it to this XDI message (template). Creates a new $push operation and adds it to this XDI message (template). Creates a new $send operation and adds it to this XDI message (template). Creates a new $set operation and adds it to this XDI message (template). Sets a signature on the message (template). Deletes all operations from this message. Factory method that creates an XDI message (template) bound to a given XDI entity. Returns all XDI $connect operations in this XDI message (template). Returns the underlying context node to which this XDI message (template) is bound. Get this message (template)'s correlation to another message (template). Returns all XDI $del operations in this XDI message (template). Returns the digests from the message (template). Returns all XDI $do operations in this XDI message (template). Return the FROM peer root arc of the message (template). Return the FROM address of the message (template). Returns all XDI $get operations in this XDI message (template). Returns the link contract address. Returns the number of XDI operations in this XDI message (template). Returns all XDI operations in this XDI message (template). Returns the context node with XDI operations. Returns the XDI entity with XDI operations. Returns a parameter value of this message (template). Returns a parameter value boolean of this message (template). Returns a parameter value number of this message (template). Returns a parameter value string of this message (template). Returns an existing XDI root policy in this XDI message (template), or creates a new one. Returns all XDI $push operations in this XDI message (template). Returns the secret token from the message (template). Returns all XDI $send operations in this XDI message (template). Returns all XDI $set operations in this XDI message (template). Returns the signatures from the message (template). Return the TO peer root arc of the message (template). Return the TO address of the message (template). Checks if an XDI entity is a valid XDI message (template). Set this message (template)'s correlation to another message (template). Set the FROM peer root arc of the message (template). Set the FROM address of the message (template). Set the link contract class. Set the link contract address. Sets a parameter value of this message (template). Set a secret token on the message (template). Set the TO peer root arc of the message (template). Set the TO address of the message (template). True if the XDI entity is a valid XDI message (template). xdiEntity - The XDI entity that is an XDI message (template). 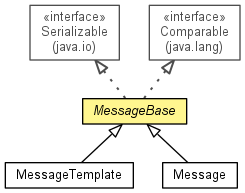 A context node that represents the XDI message (template). create - Whether to create an XDI root policy if it does not exist. The existing or newly created XDI root policy. parameterXDIAddress - The parameter identifier. parameterValue - The parameter value. secretToken - The secret token to set. A XDI entity with XDI operations. A context node with XDI operations. operationXDIAddress - The operation address to use for the new operation. targetXDIAddress - The target address to which the operation applies. The newly created, empty operation, or null if the operation address is not valid. targetXDIStatements - The target statements to which the operation applies. targetXDIStatementAddress - The target statement to which the operation applies. targetGraph - The target graph with statements to which this operation applies. target - The target address or target statement to which the operation applies. The newly created $get operation. targetXDIStatement - The target statement to which the operation applies. The newly created $set operation. The newly created $del operation. The newly created $connect operation. The newly created $send operation. message - The inner message of this operation. The newly created $push operation. The newly created $do operation. messagePushResultGraph - The message push result graph to add to this XDI message (template). The newly created message push result represented as an XDI inner root. operationXDIAddress - The operation address to use for the new operation result. resultGraph - The result graph to add to this XDI message (template). The newly created operation result represented as an XDI inner root. An iterator over all XDI operations. An iterator over all XDI $get operations. An iterator over all XDI $set operations. An iterator over all XDI $del operations. An iterator over all XDI $connect operations. An iterator over all XDI $send operations. An iterator over all XDI $push operations. An iterator over all XDI $do operations.